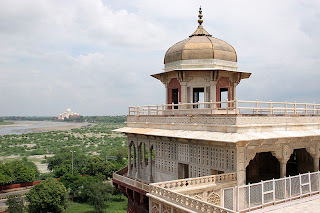 GhazipurWala Obaid: INCREDIBLE TAJ ! What is it that makes Taj Mahal the wonder that it is? You may say the beauty, the grandeur, the lush green lawns, the miniature paintings on its walls, the beautiful structure or the option of watching this 17th century wonder in its different moods as the day gives way to a moonlit night. The answer in fact lies in the essence with which the Taj was conceived. 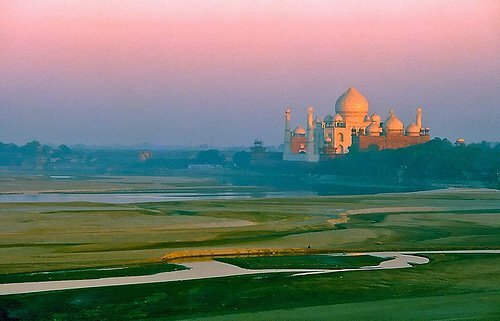 It is perhaps the power of one beautiful emotion-'Love'- that was instrumental in translating the Taj Mahal into reality. 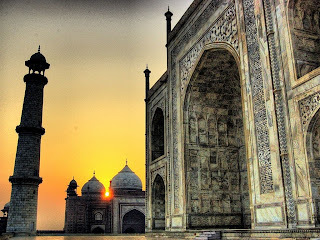 Introduction to the Taj Mahal is incomplete without the mention of Shah Jahan and Mumtaz Mahal. Taj Mahal was built by the Mughal emperor Shah Jahan in memory of his beloved wife Mumtaz Mahal. The Taj has remained a symbol of love for more than 350 years. The story of the Taj is, in fact is the story of love. Over the years, the story has been told and re-told innumerable times. Reams and reams have been written and re-written. 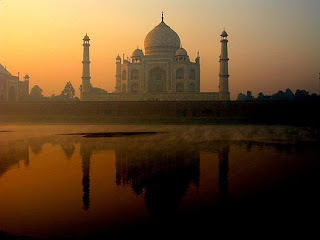 But such is the charm and everlasting glory of the Taj Mahal that it remains as fresh as morning dew. 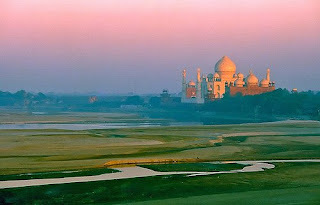 Described as "A tear drop on the cheek of time" by the noble laureate Rabindranath Tagore, Taj Mahal is poetry in stone. And it is not the poets and philosophers that are bowled over by the beauty of the Taj, the mausoleum has cast a spell on many head of the states including Bill Clinton, the former President of the United States and General Pervez Musharraf, the President of Pakistan. A tour to the Taj Mahal is a once in a lifetime experience. One that leaves you with many cherished memories to last a lifetime. With the opening of the Taj Mahal on moonlit lights after 20 long years, a traveller can now watch the Taj in all its glory in the night as well. For those interested in the history of the Taj Mahal and the story behind this icon of love, here are the bare facts. It took about 20 years and a strong force of 20,000 labourers, engineers and architects to erect the structure. The stones that have been used in building the Taj Mahal were brought from as far away as Tibet and Sri Lanka. 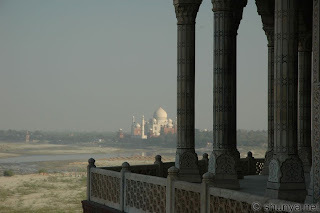 Now an interesting fact, which many people are not aware of - the Taj was inspired by the Humayun's tomb in Delhi. No wonder then, the Taj Mahal is the most sought after destination by a foreign traveller. 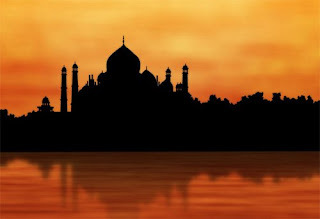 Apart from the Taj Mahal's timeless appeal, its proximity to the capital of India, Delhi, makes it easily accessible. 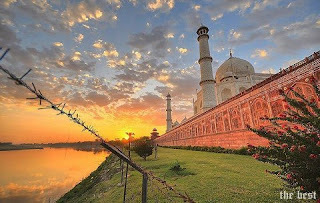 Agra, the city of the Taj is well connected by road, rail and air transport. It is about 220 km from the capital of India. Agra is also home to many historical monuments that have left an indelible mark on the sands of time. These monuments sprinkled around Agra include, Fathepur Sikri, Buland Darwaza and Red Fort of Agra.